The traditional smartphone design has changed over the years as they started to replace other devices, such as music players and GPS maps used in cars. With their transition away from simply being a phone, the size of the smartphone grows to accommodate a larger screen, a thinner model to make it look sleeker and includes more modernized hardware underneath. 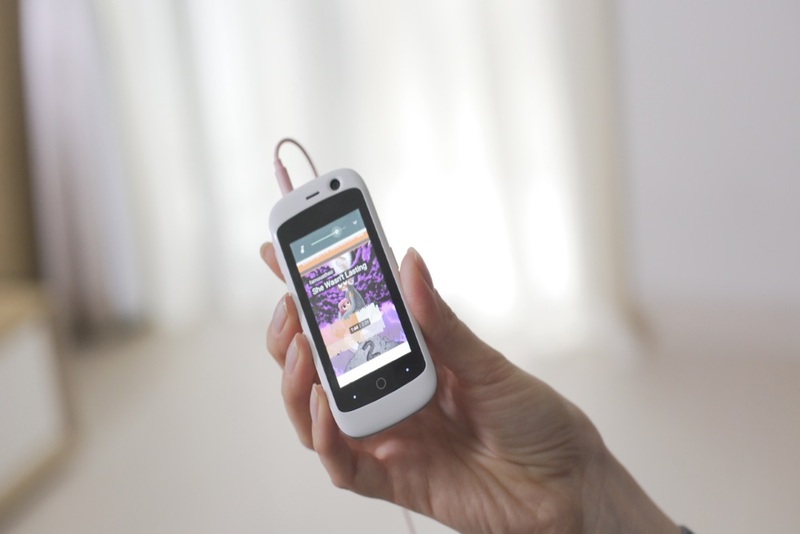 However, a new smartphone named Jelly developed by Unihertz, a Shanghai-based mobile phone company, will join the market as a smartphone that can fit in the palm of someone’s hand. Unihertz started a Kickstarter campaign for the smartphone on May 2, and it was funded within 57 minutes. The smartphone’s design was intended to appeal to travelers or for those who wanted to use Jelly as their backup phone, thus the design remained as compact as possible to fit into any storage space. The 3.6 by 1.7-inch Jelly weighs 60.4 grams with a 2.45″ inch LCD screen, making it easier to carry around than traditional phones and it fits inside the coin pocket of most pants. To make sure Jelly always has power, the phone has a 950mAh battery that can hold a charge for 3 days while in use, and a full week when left idle. If a customer finds their Jelly can no longer hold as strong of a charge as it first did, they can replace the battery for a new one. Though Unihertz kept the size of the phone small, they did not compromise on the hardware. Jelly was installed with a 1.1 GHz quad-core processor with 1GB ROM and 8GB RAM. The phone has cameras on either side, the front has a 2-megapixel selfie camera while the back camera has an 8-megapixel shooter making it more ideal for far away pictures. For those who need it, the phone can store two SIM cards and a micro SD. When Unihertz announced Jelly, they received a lot of feedback from potential customers about how a user could run into storage issues with the phone. To help ease these issues, Unihertz announced a pro version of Jelly with 2GB RAM and 16GB ROM installed. Both versions of the phone can run the latest version of Android and can access the 4G network. Unihertz plans to release the Jelly for a total of $109, with a Kickstarter special pricing it at $79 for the regular version and the pro version at $95. Those who preorder on Kickstarter can choose to have the Jelly come in black, sky blue, or white.